Welcome to Israel! Upon arrival into Ben Gurion International Airport, please proceed to the Arrival Hall, where our driver will be waiting for you next to the Stymatski store. Following a delicious Israeli buffet breakfast (which you will enjoy each morning prior to departing for your day of touring), depart Tel Aviv. 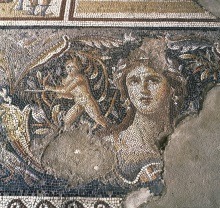 Drive north along the coastal plain to Caesarea (Acts 9.30 Acts 10 24-48), capital of Judea under the Romans. Visit the excavations of this ancient city, the Roman theatre and aqueduct. Proceed to Muhraka, the site of confrontation between Elijah and the prophets of Baal; enjoy the spectacular view of the Jezreel valley and the lower Galilee. Continue to Megiddo (1 Kings 4.28, 9,15, 2 Kings 23,29 & Revel. 16.16), identified as the site of Armageddon. Visit the archaeological excavations at Megiddo, including the well-preserved water supply system. Continue to Acre (Micah 1.10), capital of the Crusaders for more than a century. Visit the remarkable underground Crusader City and crypt; visit also the ancient city and harbor before continuing eastwards across the plains of the Galilee to Kibbutz hotel Lavi, not far from the Sea of Galilee. After a short tour of the Kibbutz grounds we take a boat ride on the Sea of Galilee. Visit the Yigal Alon center where the “Jesus boat”, an ancient fishing boat from the 1st century id displayed. Continue to Capernaum (Matt. 4.13 13.54, 17.24, Luke 7, Mark 1.2, John 4.46-54). Visit the remains of the 2nd century synagogue. Proceed to Tabgha (Matt. 13, Mark .33-45, & John 21), the site of the miracle of fish and loaves, and visit the Church of Multiplication with its 4th century mosaic floor. Continue to the Mount of the Beatitudes (Matt. 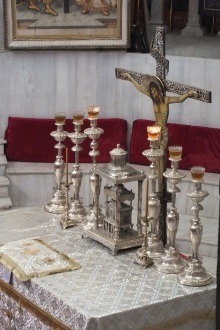 5, 6, 7, 8), where Jesus delivered the Sermon on the Mount. 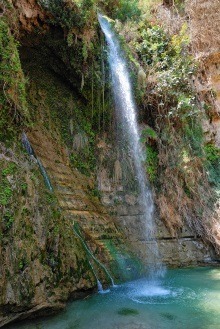 Drive to the Caesarea Philippi (Banias) Springs (Matt. 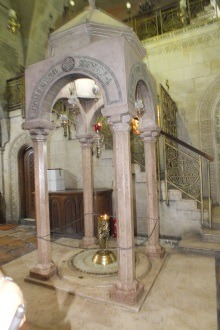 16.13 and Mark 8.27), where Jesus was recognized as The Messiah by His Disciples. Tour the Golan Heights, with its valleys, grazing land and snow-capped mountains. Drive to Cana to visit the Wedding Church, where Jesus performed his first miracle, turning water into wine. (John 2.1-11). Continue to Nazareth (Luke 1.26, 4.16-29, Matthew 2.23). In Nazareth, we shall visit the Church of the Annunciation, St. Joseph’s Workshop and Mary’s well. Next on our program is the Jordan River and the Baptismal site Yardenit. Continue to Beit Shean, one of the ancient Decapolis cities (Mark 5.20, 7.31), and visit the Roman theatre. This is the city where Saul and his son Jonathan were nailed to the walls (1st Samuel 31.10). Judges 1.27 also mentions Beit Shean. Continue south along the shores of the River of Jordan. Passing Jericho, we proceed westward and climb to the Golden City of Jerusalem. Today we visit the Old City of Jerusalem. Our appreciation of this Golden City begins with a panoramic view from the Mount of Olives, overlooking the walls of the old city and the ancient Jewish cemetery. Visit the Church of All Nations. Proceed to Mount Zion to see the tomb of King David and the nearby Room of the Last Supper (Mark 14.13, Luke 22. 10-38, Matt 26 17-29, Acts 1.13 and Acts 2 the Pentecost). Enter the Old City to begin exploring the wonders of Jerusalem. Walk through the Cardo, the main street of Jerusalem 2000 years ago. View the Temple Mount and the Western Wall. Walk along the Via Dolorosa, where Jesus carried His Cross. Continue to the Church of the Holy Sepulchre (Matt. 27. 33-57, 28.10). No visit to Jerusalem is complete without a walk through the colorful Arab bazaar (a chance to test your negotiating skills). Visit the Garden Tomb. Today’s program is dedicated to the new city of Jerusalem. Visit the model of ancient Jerusalem .Continue to Yad Vashem, Israel’s memorial to the victims of the Holocaust. Enter the site by walking along the Street of the Righteous Gentiles, dedicated to the non-Jews that risked their lives in order to save their Jewish neighbours. 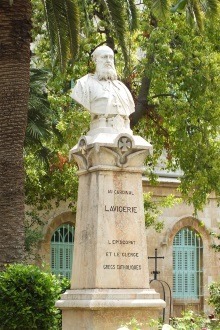 Continue to Ein Karem, birthplace of John the Baptists (Luke 1.39-80). This Spanish style church and Mary’s well is where Mother Mary met her cousin Elizabeth. Proceed to Bethlehem * to visit the Church of the Nativity and visit the Shepherds' field. Drive through the Judean Desert to Qumran, where the Dead Sea Scrolls where found in 1947 by a Bedouin boy. Visit the ancient city of Qumran and drive along the shore of the Dead Sea, the lowest place on earth, to Massada, the last stronghold of the Jews after the destruction of the Second Temple in 70 A.D. Ascend Massada by cable car and visit the food storeroom, water irrigation system and Herod’s Palace. Time and weather permitting we will have an opportunity to float on the Dead Sea waters. Return to Jerusalem.